Sartorially, socially, economically, the vivid fifties was a prime time to be alive. The decade succeeding the second world war, this era was celebratory, and clothing was a clear representation of this. The clothing of this era was clean-cut, traditional and conservative. Icons like Elvis Presley, James Dean and Marlon Brando paved the way for an aesthetic perpetually tattooed to our minds that reflected a playful era. We looked back in time to take you through our favourite fifties trends that would appear anything but outdated today. The fifties saw an emergence of a preppy aesthetic, playing off youthful culture that was inspired by collegiate dress codes. One of the simplest ways to interpret this fifties trend is to incorporate little elements of preppy style in your dress codes. This is a trend best done subtly, as you don’t want your clothing to register too costume-like. 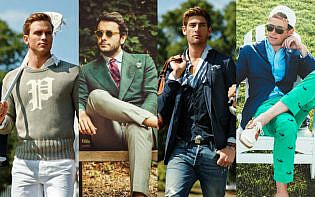 Preppy daywear should be relaxed yet still respectful. Cricket sweaters, Grandpa cardigans and cable knits are great options. For corporate wear, use preppy prints and patterns to introduce a fifties look to your work attire. Preppy stripes, vintage plaids and classic ginghams will give you a playful throwback to this era. 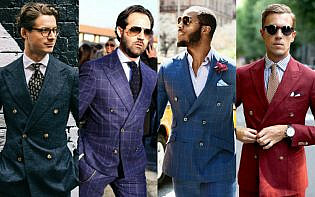 Colour palettes are also pivotal when working with preppy styles. Wear navies, bright grass greens, scarlet reds and place importance on bright whites. The shape of men’s casual shirts was a little different from the fitted looks we are accustomed to. Oversized, geometrical and graphic, fifties shirts were a relaxed way to interpret daywear. Remember, this was an era that celebrated clothing and dressing – and wider freedoms with fabric reflected this sartorial shift to oversized casual day shirts. The polo shirt also played a part in casual wear, and worked well for gentlemen who were avid sportsmen and wanted to appropriately look the part. But sporty influence didn’t just play a role in sportsmen’s sartorial choices- leisurewear was particularly capitalised on by gentlemen who wanted to interpret athletic wear into their own personal style choices. Suits were undoubtedly a pivotal staple in this era, but the fifties also saw a move to the double-breasted suit which allowed men to switch up their usual dressy attire. The double-breasted blazer is currently enjoying a resurgence in street style, and it is a trend that is easy to adapt for different occasions and dress codes. When going for double-breasted blazers, ensure that the fit is perfect. You don’t want to look slouchy or ill-shaped, so be on the lookout for great fit and a good quality blazer that will stand the test of time in your wardrobe. While last year saw the revival of the bomber jackets on the spring/summer 2016 runways, its prevalence in street style has assured us this trend will always be a failsafe staple piece. Navy and khaki are always winning colours for bomber jackets but don’t be scared to experiment out into brighter, bolder bomber jackets that will be attention-grabbing and highly visual. Colourful prints and bold visuals are encouraged on your bomber jackets, but ensure that you are pairing them with an outfit that is mellowed down with darker tones to anchor your aesthetic. Marlon Brando’s iconic leather jacket in the Wild One is classic men’s style typified. Cool, classic and the ultimate staple piece, leather jackets were popular in a decade that saw cinema wield massive influence over gentlemen. 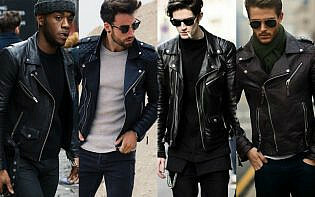 The key to electing great leather jackets is to ensure that you are going for one that will stand the test of time. Shape and fit are also integral, and if you are struggling to decide on a staple leather jacket, look through photos of the fifties to find an authentic style that will work well with existing pieces in your wardrobe. There is one stipulation, black is the go-to, obviously. One of our favourite shoe choices, the humble loafer, is reminiscent of classic fifties style. Be it penny, driver or tasselled versions, loafers are easy to style and provide an appealing shoe choice for men to wear throughout the seasons. They are also super versatile and a dressier alternative to trainers, making for a more grown-up take on your footwear. 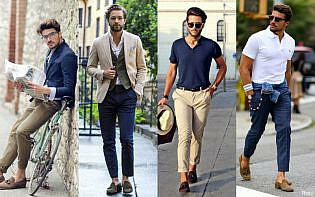 Suede is highly versatile and is best for gents who plan on wearing their loafers for different dress codes. Highly shiny leather works primarily well for dressed up occasions and will lend a glossy element to a humble suit. While fedora hats precede the fifties; this era sustained the gentlemanly influence of this accessory. 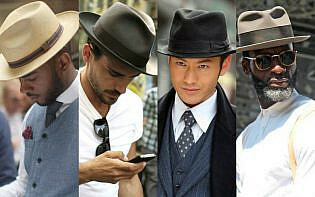 Prevalent in cinema and street style alike, fedora hats were popular for their ability to add a finishing touch to a great suit or daywear in general. Hats were also a sign of respect and etiquette, going back to the social climate of a fifties society. 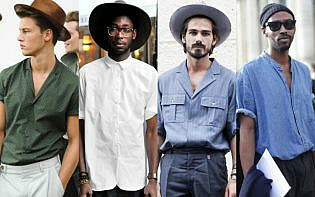 Our biggest tip when finding fedoras is to go for classic colours that can be reworked with different looks. Greys, navies and khakis are appealing options and will stand the test of time in your wardrobe. 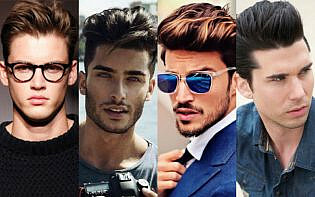 Forget all the clothes; hair is the biggest style statement that will instantly give fifties vibes to any outfit. It is all about high-shine and a lot of volume. That’s how we would sum up the predominant hairstyles of the fifties. 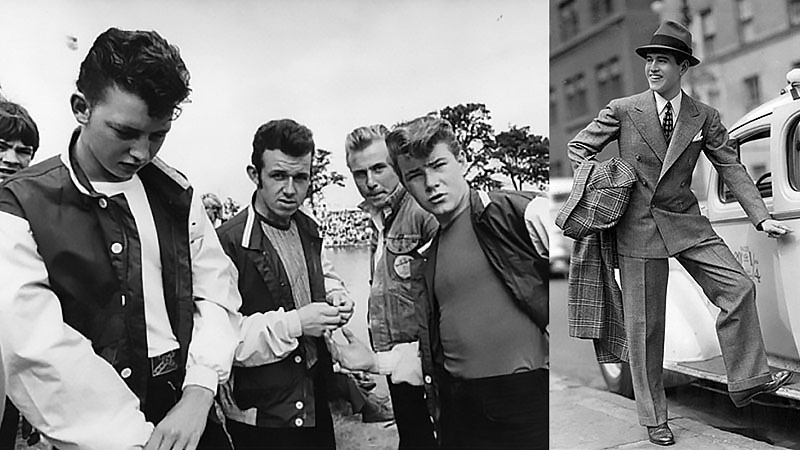 Prompted by the iconic hair styling of Elvis, a popular hairstyle of choice for gents of the fifties was the pompadour. This hairstyle works best with longer hair up top, which can be blow-dried and styled with a strong holding pomade for shape and hold alike.